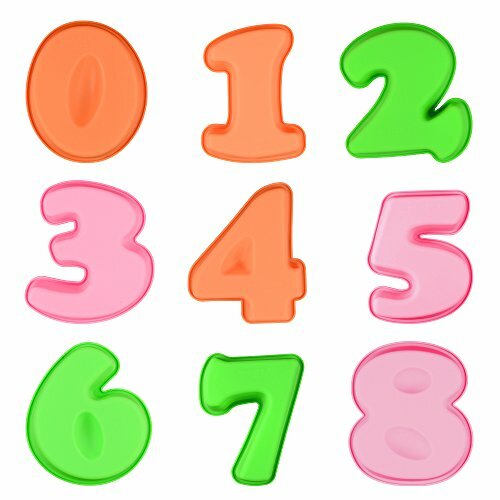 Baking any numeric cakes with these small cake molds, or you can combination any numbers as you like. Note: Due to flexible material, please place silicone number molds on cookie sheet for stability before pour batter in. Package Including: Number 0,1,2,3,4,5,6,7,8 Size:Height: 1.8" Number "0" : W: 5.7" * L: 6.8" - Volume: 19.4 ounce; Number "1" : W: 5.2" * L: 6.8" - Volume: 14.5 ounce ; Number "2" : W: 6.1" * L: 6.8" - Volume: 18.3 ounce; Number "3" : W: 6.2" * L: 6.7" - Volume: 17.6 ounce ; Number "4" : W: 5.8" * L: 6.7" - Volume: 16.2 ounce; Number "5" : W: 5.7" * L: 6.6" - Volume: 17.6 ounce ; Number "6" : W: 5.9" * L: 6.8" - Volume: 17.6 ounce; Number "7" : W: 4.9" * L: 6.8" - Volume: 12.7 ounce; Number "8" : W: 6.3" * L: 6.9" - Volume: 21.2 ounce; Quality Guarantee:30-Day money back guaranteed and lifetime warranty, risk-free to buy. -- Premium silicone molds safe for use with foods, good for environment -- Don't stain food, dishes or cookware, aftertaste-free -- Please be noted that can't be used directly on the gas or electricity or above the heating plate or barbecue. Specification: Color: Silver Size :6.7x11.6 x2.0", small squares size:1.7x2.0". Material: Durable food-grade aluminum, approved by FDA. Feature: Non-toxic, BPA free, Nonstick and Heat Resistant. Usage : Easy to use and easy to clean up. Apply : Make cake, chocolate, candy, bread, cookie or pastry. The reasons that you choose us : 1, Burn-resistant aluminum makes baking evenly and quickly . 2, No metal aftertaste, no harmful substances, repeatability, pro-environment and hygiene. 3,Freshly baked cakes slide right off of the pan. Our nonstick aluminum pan provides smooth cake release without sticking crusts or crumbs. 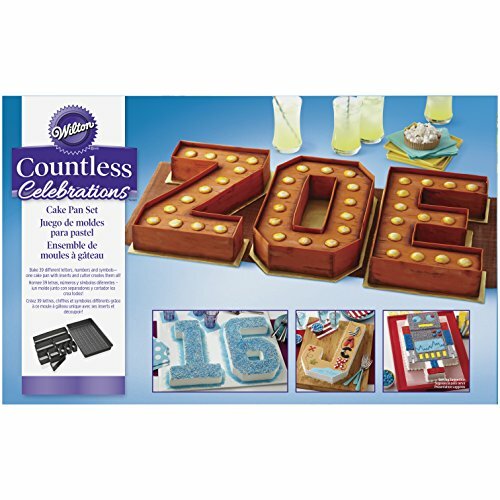 4, With our versatile cake pan , you can mold your cake into any letter, number, pattern, or abstract shape, build your own number or letter on the grid to make memorable cakes for birthday parties, wedding anniversaries, and special events. No worry Warranty: We provide our customer 30days no worry refunds! Now add it to your cart to create the perfect centerpiece. 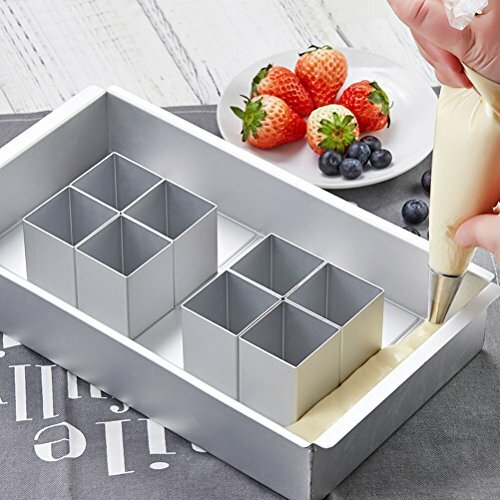 You'll love DIY cake , if you get our number cake mold . 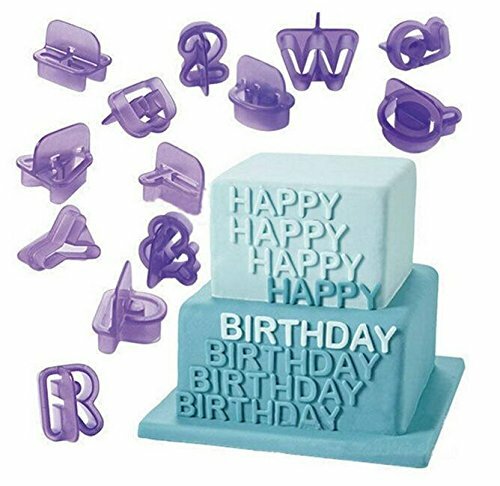 With the Alphabet Cake Pan, you can create unique cakes for birthdays, anniversaries or other special events. Use the grid grooves in the bottom of the pan to arrange the 2 inch blocks into any 10 inch or 14 inch letter or number combination. 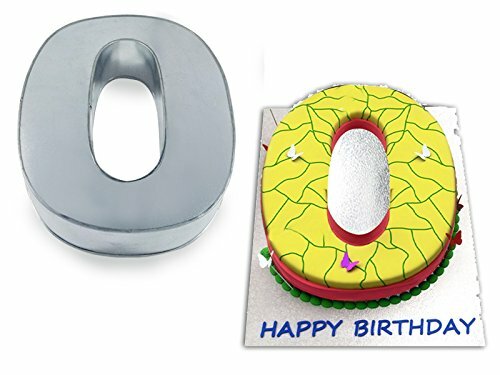 You can create custom cakes for a special 1st or 50th birthday or spell words for your special occasion with multiple letters. 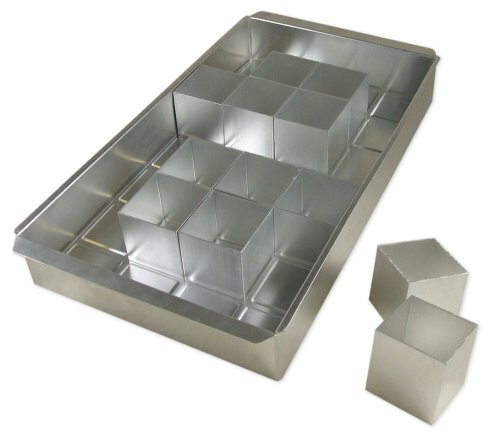 You can even use this pan as a jello mold or for 2 inch square cupcakes. The possibilites are endless with the included instruction booklet and your imagination. 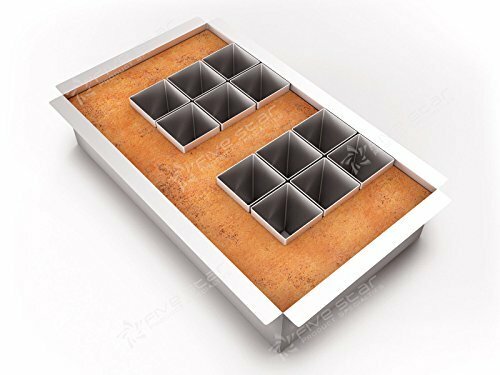 EURO TINS Large Number Wedding Birthday Anniversary Baking Cake Pan 14" X 10"
Perfect for decorating home made or shop-bought cookies, fondant cakes. It can make bread, cake, biscuit, cookie, chocolate as so on. High quality and it is easy for using and cleaning DIY silly putty,develop baby's intelligence . Easy to use,design your own message,on cookies with your name etc. Impress your friends with this professional look! Please keep it dry after using. 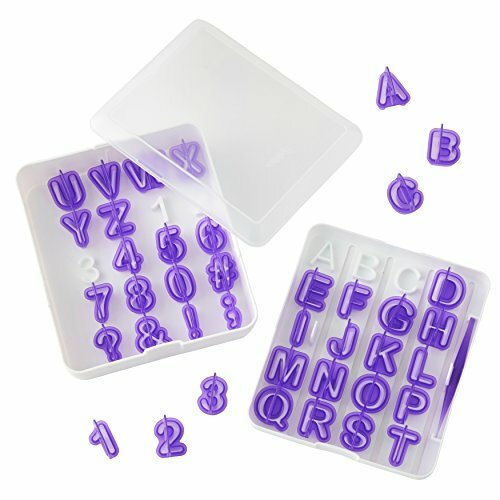 Looking for more Alphabet Cake similar ideas? Try to explore these searches: Aristo Craft Rail, Eminence Organic Starter Set, and Mens Unique Leather Thong. Look at latest related video about Alphabet Cake. Shopwizion.com is the smartest way for online shopping: compare prices of leading online shops for best deals around the web. 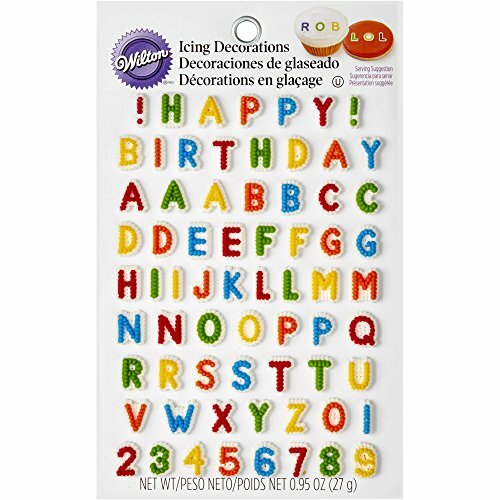 Don't miss TOP Alphabet Cake deals, updated daily.